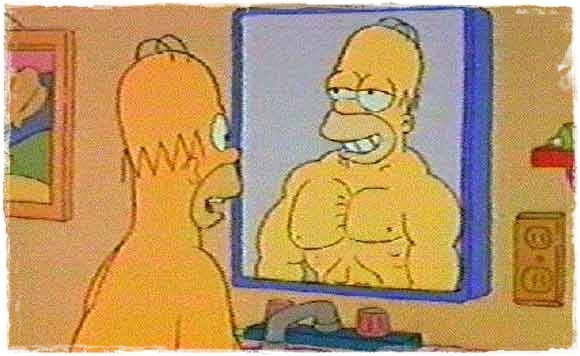 self-evaluation | The Better Plan . . The Japanese translation of Glasser’s biography, Champion of Choice. I am looking forward next month to traveling to Japan and speaking at their Glasser conference on Reality Therapy and Choice Theory. The Glasser biography, Champion of Choice (2014) has been translated in Japanese (thanks to Masaki Kakitani and Achievement Publishing) and is selling well there. Some of you are aware of Choice Theory’s presence in countries around the world, with several countries – Australia, Ireland, Canada, and Japan, to name a few – having active and influential Choice Theory organizations. Like a number of other cultures, Japanese read from right to left, and they also read from top to bottom. Again, thank you Masaki Kakitani. Choice Theory’s worldwide presence and appeal underscores a point that shouldn’t be lost on us, the point being that Choice Theory is based on principles. Think about it, we define a principle as a foundational, fundamental truth, not restricted by time or place. In other words, a principle of human behavior would be as relevant in Singapore as it is in Scotland; as relevant in 1500 BC as it is in 2016. Principles provide compass points for our lives. So, given that Choice Theory is being studied and practiced around the world, what are the principles of human behavior that Choice Theory desires to honor and promote? ONE – Every human being behaves for totally personal reasons. We don’t behave for some reasons that are personal, or for reasons that are mostly personal. We behave for reasons that are totally personal. 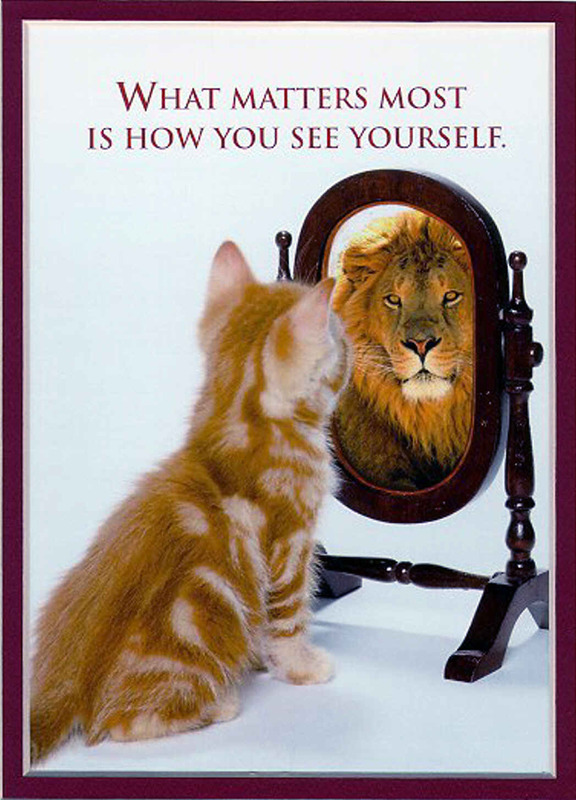 All of our motivation comes from within. We may change our behavior in response to a threat from someone else, or we may disregard the threat and do what we want, but either way we are deciding for reasons inside of us. We may accept a bribe and do what we are being paid to do, or we may reject the bribe and follow our own path, but again, we are deciding for internal reasons. We weigh outside circumstances; those circumstances don’t control us. TWO – The only person we have a chance to control is ourselves. Since every human being is internally motivated and controlled, it follows that “external control” or “outside control” really isn’t possible. We are not designed to be controlled by another person; nor are we designed to control others. THREE – All behavior is purposeful. FOUR – Attempts to control another person’s behavior will end poorly. Because we are not designed to be controlled by others, or to control others, all our efforts to do so will harm the relationship between the controller and the controlee, and will also harm the quality of the task or product being demanded. FIVE – Positive changes in behavior always come from tapping into a person’s strengths, not from trying to eliminate a person’s weakness. Weaknesses represent areas in which we lack, sometimes significantly, so expecting changes to be based on areas in which do not have an affinity for or the needed skills seems a bit ill-advised. When working with a student (or teacher for that matter) who is performing marginally, the key lies in identifying areas of strength and building a success plan based on those strengths. SIX – Positive changes are fueled by positive relationships with key individuals. This may sound obvious, but it is striking how often this is ignored. Students, for instance, will work for a teacher with whom they enjoy a positive relationship, even in a content area the student doesn’t particularly like. And the opposite is just as true where students will do marginally in a content area they like because they are at odds with the teacher. One of the things that happens because of a good relationship is trust, and very little of value happens without trust. SEVEN – Effective assessment is standards-based and always includes self-evaluation. Measuring against a standard, especially when it comes to professional licensing (e.g.- passenger plane pilot, brain surgeon, lawyer, etc. ), is important. However, the essential piece in the assessment process always comes back to how the individual being evaluated evaluates himself. Whether a student is working through a behavior problem on one hand or considering his level of performance on a Biology project on another, the goal is to help him/her accurately self-evaluate and then, if needed, to make a plan for improvement. This list is not exhaustive, but it does state seven important principles of human behavior. My view is these principles have been around since the dawn of time and that they apply regardless of where you live. I have shared the elements of Choice Theory in places like Bangkok, Beirut, and Bermuda, disparate cultures that view the implications of Choice Theory differently. Of course, we here in the U.S. and Canada have our own cultural challenges, too, when it comes to Choice Theory. Yet principles are . . . well . . . principles. They don’t go away because we don’t understand them or don’t want to honor them. Would you word any of the seven principles differently? Can you add any to the list? For those of you who read from left to right, remember the English version of Glasser’s biography is also available. You can buy the paperback version through William Glasser Books at http://wglasserbooks.com. It is also available through Amazon. What Makes Choice Theory So Hard To Do? It has been said that Choice Theory is easy to understand, but hard to do. What do you think? And if this is true, what makes it so hard? + I no longer have to control everyone around me. + I can talk to people in a way that helps us work through a problem and stay connected in the process. + I can self-evaluate my own behavior and make a new plan for the future. This Choice Theory truism should come as a relief, and when you first hear it in a workshop setting or read it in a book, it does feel like a relief. Then you drive home after the workshop or head to your classroom the following day and suddenly it feels more like a restriction than a relief. Control, we come to realize, isn’t something from which we really want to be relieved. Of course, it’s more about the feeling of control, since Choice Theory reminds us the only person we can control is ourselves. This feeling of control is more than alluring, though; it can become a part of our identity. It is hard to let go of something that means as much to us as being in control, even if it is pseudo-control. It is hard, too, if we don’t yet feel skilled in how to live without controlling others. The skill lies in identifying our own needs and boundaries and then living a caring, connecting life within them. It is easy for us to agree that using the Caring Habits (accepting, trusting, listening, encouraging, supporting, respecting, and negotiating differences) is better than using the Deadly Habits (criticizing, blaming, complaining, nagging, threatening, punishing, and rewarding to manipulate) when it comes to how we relate to others, but it is still hard to do. One of the things that is hard is to really listen, to really focus on understanding what your child, your student, your spouse, or your colleague is saying. We listen to reply, rather than listening to understand. As a result, we are quick to tell a child or student what to do, rather than helping them arrive at and verbalize a plan. Maybe a desire for expediency urges us to tell and direct her/his behavior; maybe it is a way to meet our own need for influence and power. Whatever the case, it is hard to focus on asking good questions, rather than telling what we think are good answers. 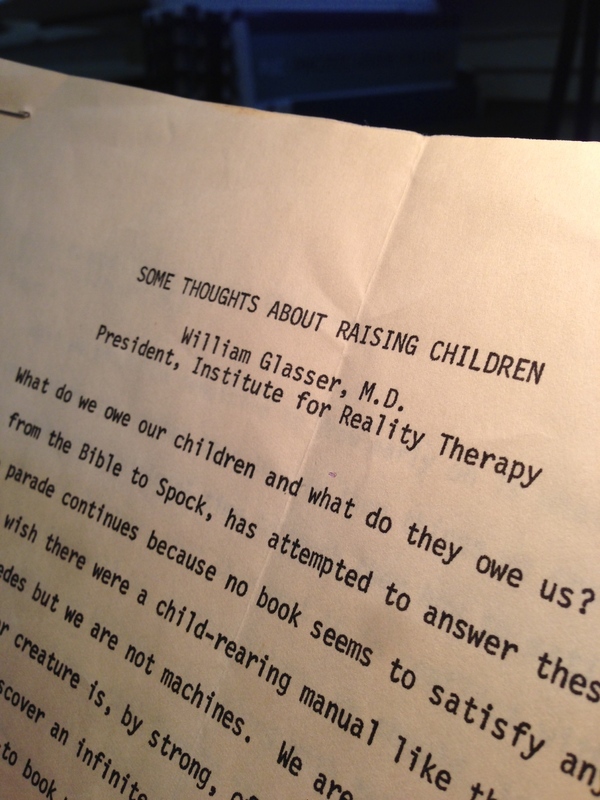 For me, this is one of Glasser’s most important contributions to the field of mental health, that being that people can learn to monitor their own psychological health and make choices to maintain or improve it. It is hard, though, to escape the gravitational pull of stimulus-response thinking. Stimulus-response is an outside-in world. In other words, we are what the circumstances around us make us. There is a strong appeal to this way of thinking because somehow we are drawn to being the victim. Somehow there is something need-satisfying in victimhood. Choice Theory is about an inside-out world in which people choose their course of action and choose their responses to circumstances, whatever they may be. Living in an inside-out world means recognizing our own responsibility for our thinking and our actions. This, you may have noticed, is hard to do. It is easy to blame and to criticize, especially when we do it silently and resentfully, all the while building a case for our rightness. It is harder to look into our own psychological mirror and admit that we are criticizing or blaming to try and get what we want. It is harder to choose to be positive and caring, regardless of what people do in return. It is hard to switch from a stimulus-response approach to a Choice Theory approach to life. Glasser felt that it took him two years to make the switch. I think it is taking longer for me. In fact, I think I think I will always need to stay intentional about this switch. More and more I come into an awareness of the ways in which I choose irresponsible misery, rather than responsible joy, and I want to change that. If a Choice Theory approach is taking longer for you, I want to encourage you to stay on the journey. Insights will continue to dawn in your thinking; breakthroughs will emerge in your experience. Resist the pull of stimulus-response. I finished the Anatomy of Peace book, by The Arbinger Institute. I can very much recommend it. It describes a Choice Theory approach to life from a unique angle that even experienced choice theorists will benefit from. Again, I want to thank my friends at Livingstone Adventist Academy for sharing the book with me. I’ve recently been alerted to the message of Michele Borba and her work surrounding the topic of empathy. Have you heard of her? Looks very good to me so far. More on her work later. This may seem to obvious to mention, but I am going to say it anyway. The ideas and principles of Choice Theory really are life-changing. I can see it in the way participants are affected at certain moments during the in-service; I can hear it in their comments as they process how their own relationships are going or how their classrooms are functioning. There is truth in the ideas of Choice Theory and people relate to the ideas at a very deep personal level. Chris Sequeira, David Davies, and Sharon Cutz, role play a parent who overhears her teenager talk with friends about cheating. Glasser used to say that Choice Theory is easy to understand, but hard to do. Most of the difficulty, I think, in applying Choice Theory has to do with the length of time we have been marinating in external control, either with external control being used on us or with us using external control on others. Being involved in role play, where participants work through common personal or classroom challenges, shows how challenging it can be to come up with the right question at the right moment. Learning about problem-solving conferencing is about learning to help another person effectively self-evaluate; it’s about helping another person identify insights and make a success plan. Rather than telling and giving advice, it’s about listening and asking the “artful question.” Oh, and by the way, as nice as this may sound, it is hard to do. For some reason we tend to be “better” at telling and giving advice. Fortunately, role play is fun, which keeps us wading back in for more insight and experience. As teachers (and parents) we can’t delay on this. Few of us feel like Choice Theory experts, but remember that “He who does the teaching does the learning.” We give our students and children a great gift when we teach them about the Basic Needs or about their Quality World. Sonya Reaves recent post about how she taught her students about Total Behavior really underscores this point. Remember to review past Better Plan posts for more ideas. Here are some quick links to get you going. Desks as Cars. I DID IT! The simple outline followed during the Parent Night orientation. This is true whenever systemic change is the goal. This follow-up is really about on-going support. Choice Theory ideas are strong, but we live in an external control world and without some kind of on-going support we tend to revert to what we know, what we have experienced the most. The follow-up doesn’t necessarily have to include me. The key is that there needs to be a local “keeper of the flame,” a local person who keeps the Choice Theory dialogue going and who provides moments for practice and reflection. Positive change is enhanced when there is a plan. I believe these factors are coming into place at Livingstone. I am excited for their future! correct things that are going wrong. In the quiet of Thursday morning before participants begin arriving. Do you want a doctor who “thinks” she has learned enough to do your surgery? Writing from a coffee shop in Spokane, Washington, this morning. Margaret and I are on our way to Missoula, Montana, to see our son, Jordan, graduate from law school. More on Jordan and law school this weekend. Do you want a pilot who self-evaluated that he is able to fly a passenger jet? Do you want a farmer to self-evaluate that his meat is acceptable for consumers? Do you want a manager who NEVER gives you feedback or direction? Do you want an auto company to decide on its own that the problem with the brakes isn’t that bad? Do you want a doctor that “thinks” she’s learned enough to do your surgery? Do you want a dentist that has “decided” he’s ready to do your root canal? The flaw of self-evaluation is… If all you do is self-evaluate, how do you know what you don’t know? Teachers provide needed instruction and feedback to their students. Without this, students may not learn properly or may practice incorrect methods. Coaches correct actions to improve skills the players have not yet mastered. Parents provide instruction and limits to teach their children the values and behaviors that they expect. Many professions require external certifications in order to ensure standards of safety are met; however, unless an individual finds some worth in the external expectations and evaluations, there is little likelihood that he will produce quality work. The key to external evaluation is involving the individual in finding value in expectations and evaluations. Additionally, it is important for the workers to be taught exactly what is expected of them, prior to any self or external evaluation. Dr. Deming said, “It is not enough to do your best. You must first know what to do and then do your best.” When there are set processes, procedures or policies, rubrics, checklists and other quality tools are helpful to the teaching/learning process and to enhance the quality or self and external evaluations. When external evaluations are required, there are three factors that increase the likelihood that external evaluation will produce the desired result. External evaluation and information is crucial to our learning and growth. The external evaluation doesn’t “make” us do, think or feel anything. We take the external information and use the “self-evaluation” process to determine if we will use the information we are getting. The term learner is used from this point forward to represent anyone receiving feedback or evaluation information because successful external evaluation results in learning. 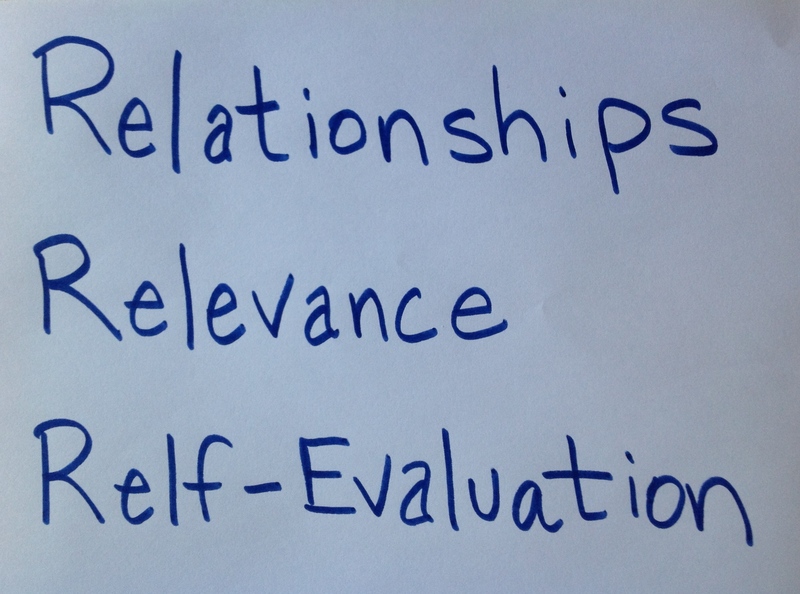 There are three factors that determine the effectiveness of external evaluation? 1. Does it benefit the learner? a. How will the evaluation be used? b. Does the learner have a chance to improve the rating/grade or score? 2. Is it wanted / asked for? a. Does the learner “respect” the source of the evaluation? b. Does the rating / grade / score mean anything to the learner? 3. Does the evaluation give the learner the information needed to make the necessary improvements? “Does the evaluation give the learner the information needed to make the necessary improvements” is the crux of the Glasser Quality School Model. Reteach and retest. Dr. Glasser’s emphasis on self-evaluation and co-verification can coexist with the expectations of external evaluation that are expected in many workplaces and schools. This coexistence can become positive by involving others in the evaluation process. A suggestion for increasing meaningful methods of external evaluation is to survey the individual(s) who will be evaluated. Questions, such as the following, provide a base from which to build useful, meaningful evaluations. 1. 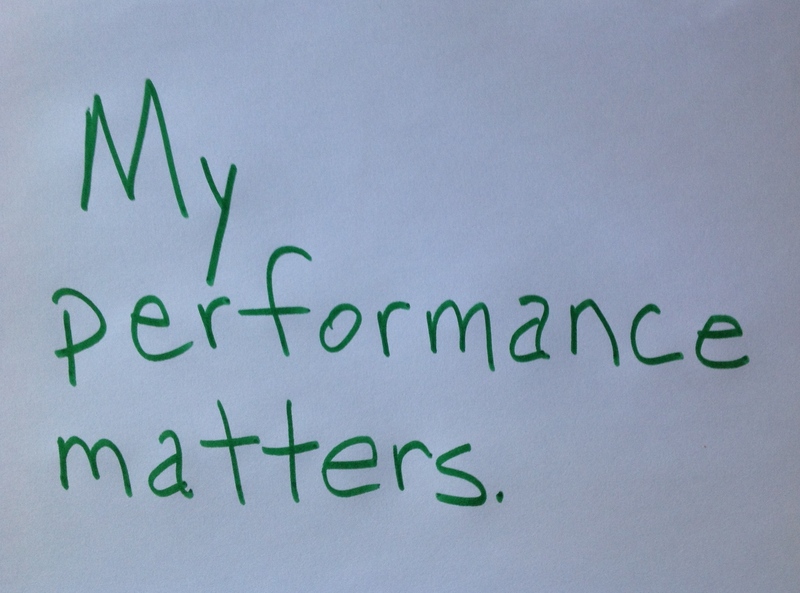 What does your ideal performance review look or sound like? a. What would you like it to say? b. What knowledge and skills would be recognized? c. What accomplishments would be included? 2. In what type of environment do you work best? a. How do you get along with others? b. How do you treat others? c. How do others get along with you? d. On a scale of 1 to 10, how autonomous would you prefer your job to be? i. How often do you think you should report your progress? ii. How would you like to report your progress? 3. What expectations do you have of yourself? a. What expectations do you think that the company has of you? b. What expectations seem reasonable to you? c. What expectations don’t seem reasonable to you? d. How do you reconcile any differences between the two? 4. What type of evaluation is most helpful for you? a. When do you want to receive it? b. How do you want to receive it? The expectations and evaluations occur within a positive, supportive, trusting learning and working environment. The expectations, even when external, have benefits for the learner or worker. The evaluation is helpful because it meets the above criteria. Is My Self-Evaluation the Only One That Matters? My friend, Tim, who I respect a lot, questioned the idea that self-evaluation is the only evaluation that really matters. I think there is definitely room for discussion on this point. His comment follows below and my reply follows after that. While the seniors are filling out their evaluations of me and the various mini-courses in their religion class this year, I don’t think my self-evaluation is the only one that matters! Even since writing the following reply I continue to think about the need for and process of evaluation. Here’s the response I came up with a couple of days ago, though. Yes, student feedback is important, but the real question is what is the feedback for? If it is for you, then how you evaluate or respond to their feedback is the key piece in the process. Some teachers will have student feedback available, but not even look at it for fear of what it might say. Other teachers will read the student data and comments, but dismiss them because the students really don’t understand what education is about or what the teacher is trying to accomplish. Still others will read the comments and resent the students for their candor. And finally, some teachers will read student comments and truly reflect on what they are saying and how those comments might help them improve their instruction. Students can say all kinds of things, but what they say matters only in the ways the specific teacher relates to their comments. In the end, the only evaluation that really matters is self-evaluation, or how I process the feedback from others. I have a personality that can get positive feedback from nine people and feedback for improvement from one person and it will be that “negative” comment or feedback for improvement that I will obsess on. My self-evaluation is not helpful to me at that point. I would benefit from someone who could help me see things more accurately, both the positive and the areas for growth. I think this is a special area in which superintendents and principals could change the way in which teacher evaluations are done. Ultimately, it is how I respond to being evaluated that is the important thing. Presently, I don’t think that most evaluators or evaluatees get this at all. Just a reminder – The Choice Theory Study Group for this weekend has been cancelled. There are nuances to these three elements, and there are other elements entirely, but any school that authentically and effectively addresses these three will be well on its way to being a Glasser Quality School. Glasser wanted schools to be places of joy, where staff and students treated each other warmly and with respect. I refer to this piece as Intentional Friendship. It isn’t something we just hope for, it is something we strategically plan for and implement. Students respond well to our Intentional Friendship efforts, however not all will do so right away. Some have attended schools that rely on coercion and punishment and have never experienced a place – at home or school – that is based on positive relationships and natural consequences. They have used their cold, adversarial attitudes as leveraged responses to the school’s effort to control them. When a school ceases to behave in this way, and to literally take the fight out of their rules and procedures, students don’t exactly know how to respond at first. So they test their teachers to see if this approach is really real or just some form of control in disguise. I think a term we need to embrace is the idea of Unconditional Liking. And by that I mean that we behave like we like our students, not just love them in some ethereal, spiritual way, but really like them. Many of our students have never experienced unconditional anything. It’s a powerful element in a Quality School. We all crave it. 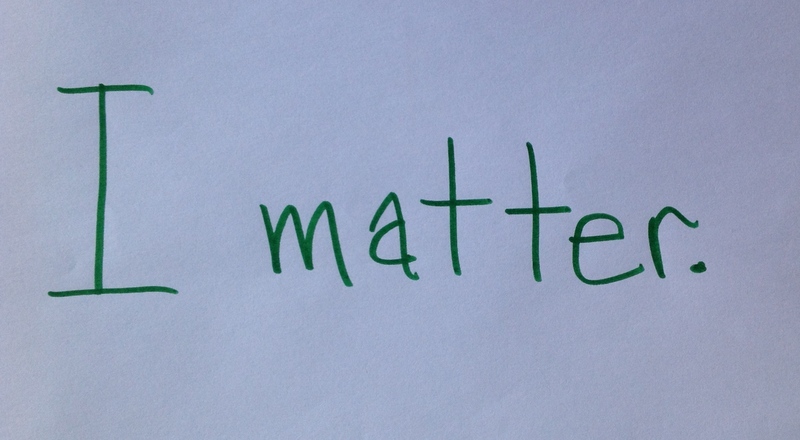 We want things in which we are involved to matter. Students are no different in what they experience at school. Busy work is the opposite of relevance. Teachers know this, yet it isn’t always easy to develop lessons that are relevant. Part of students’ complaints about school is that so much of what they do isn’t relevant to them. 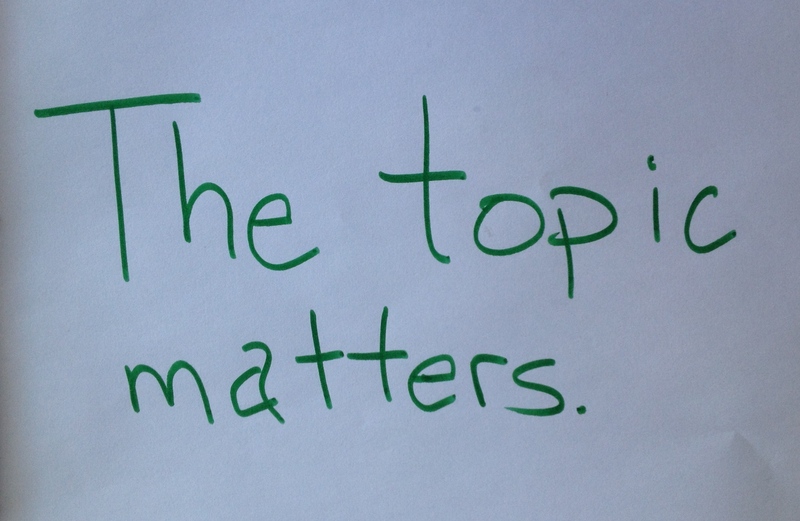 Consider some simple ways that topics and assignments can be made to matter more. + Second and third graders track 10 day weather predictions on The Weather Channel and determine their rate of accuracy. + Eighth graders consider the effects that a meat diet has on the planet. How would things be different if everyone was a vegetarian? + It is now being said that major portions of the Antarctic ice shelves are melting and that the rate of melt is now irreversible. High school students present reports on the extent to which this claim is true. + High school students research the effects on the economy of raising the minimum wage to $12.00 and hour and give presentations that include the math they used to support their conclusions. These are just examples. You can come up with even more I am sure. The point is that as teachers we must be vigilant in our search for relevance. The Self-Evaluation piece is an essential piece of a Quality School, yet it is easy for educators to leave this piece out. 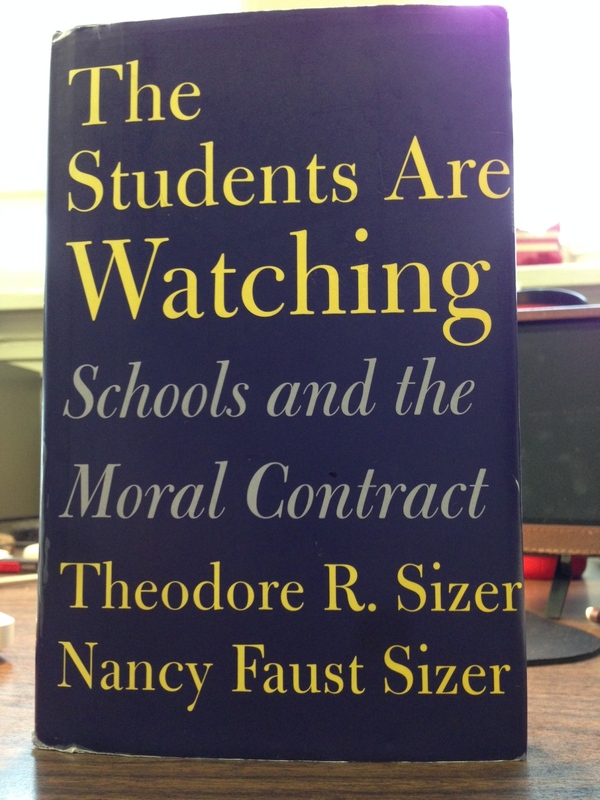 Our view that academic evaluation is the teacher’s domain runs deep apparently. Maybe we view evaluation as our responsibility; maybe we see evaluation as an element of control that we don’t want to share; or maybe we think students won’t take it seriously. Whatever our reason for doing all of the evaluating, as teachers we need to reconsider this way of doing things and think of ways we can share this process with students. One way to do this is to include a student self-evaluation column, as well as a teacher verification column, in the rubrics that you produce. Not every assignment will have such a rubric, but certainly the major assignments and projects will benefit from giving students a chance to rate their own performance. When they submit their assignment or project they will also submit a completed self-evaluation. My experience is that they in fact do take self-evaluation seriously. Their scoring and my scoring as teacher do not always match, but our scoring differently always leads to important conversations about their performance. I may say that “I notice that you have given your self a 5 out of 5 on the personal examples section of the paper. Could you show me where those are?” The student may then attempt to show me how they interpreted that requirement or they may admit that maybe they didn’t do as much as they thought on that area. We eventually agree on a score, politely, focusing on the content rather than the person. I have noticed that it isn’t unusual for them to give themselves lower scores than I gave them. It is fun when that happens to point out to them the ways they got it right. Glasser and Deming agreed that self-evaluation was really the only evaluation that mattered. We have to hold to this principle, pursue it, nurture it, if we are to create learning environments that are need-satisfying. Relationships, relevance, and self-evaluation are just as important in the home, or in our churches, too. They are basically three of the essential principles of life. Remember that our Choice Theory Study Group has been cancelled this coming Sabbath, May 24. I know you may be keenly disappointed, maybe even overcome with despondency, but try to have a good weekend anyway. 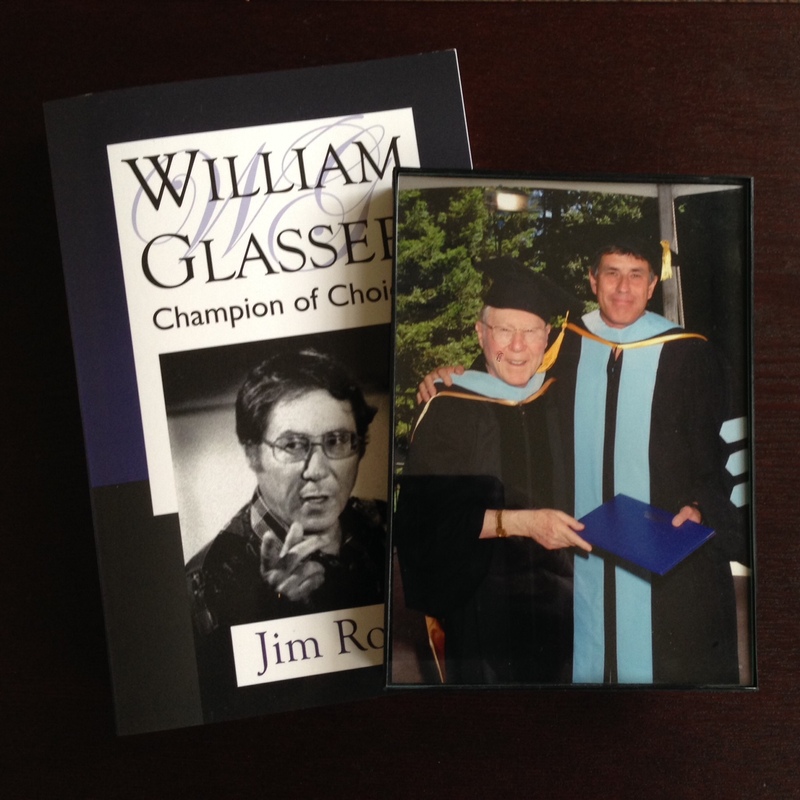 Glasser received an honorary doctorate at the same time I received my Ed.D. I began the last blog with “The Glasser biography is printed and is now available!” It turns out it would have been more accurate if I had left it at “The Glasser biography is printed.” I have the book. It looks great! But I still can’t tell you how you can get a copy. Nothing yet on the publisher’s website or on the wglasserbooks.com website. The Better Plan followers will be among the first to know about how to get the book. Stay tuned. The idea of taking the time to teach kids how to satisfy their own needs has made a real impression on me. This process is about honoring your child as a fellow human being with unique dreams and goals of his/her own. It is about respecting their ideas and helping them achieve them. It is a process full of love and compassion. Is such an honest and candid relationship possible between parent and child? I especially thought about the effect such a relationship would have on a child’s spiritual journey. What would it be like for parents to express how much they believe in the way they live their lives, but somehow to admit that their way may not be the only way for the child? What if parents modeled an authentic and real connection with Jesus, and invited their children to be a part of that connection, yet somehow did so non-coercively? Too many children are growing up to be screwed-up adults, unclear regarding their purpose in life and spiritually unhappy. To a great extent I think this has a lot to do with children experiencing the opposite of what Glasser described. Instead of focusing on creating and maintaining their own spiritual lives and then inviting, inspiring, and persuading their children to join them, parents are leading halfway religious lives and then trying to force their children to do the same. Criticizing, nagging, threatening and punishing are frequently present in this approach. And I would add that more adults would turn out well-adjusted and mentally healthy. I like the idea that we can help children and students to reach for the best version of themselves. I like the phrase “best version of themselves” a lot. In the absence of intervention, students will come to see their teacher as the judge and chief evaluator. Students turn in assignments and hope that their teacher will accept it, or maybe even like it. Somehow the school system has created a divide between what students do and their own connection to that skill or product. Tell me what you like about what you have created. What part of this assignment was the most satisfying for you? What grade would you give yourself on this assignment and why? What strategies did you use that helped you complete this assignment? Teachers can still make evaluative statements; we just need to do less of it. We need to share the evaluation process with students. This sharing can be done informally, like the sample questions above, or it can be done formally where student self-evaluation becomes part of the project rubric. I would call him, just needing to talk with someone, someone not close to the situation. My dad was a sharp guy and had a lot of life experience and as soon as I explained the problem, sometimes even before I was done explaining, he would quickly start telling me what I needed to do. He was trying to help. I have no question about that. But I didn’t call for advice. I just needed to talk. The sad thing is that when he started giving me advice during the phone call, I would feel myself withdraw or pull away. I kinda wanted the phone call to be over at that point. It is easy to fall into the same habit as Dave’s dad. We are quick to tell what the answer is or where the solution lies, rather than simply listening and then accepting or affirming. Husbands are quick to do this with wives, parents are quick to do this with children, and teachers are quick to do it with students. We mean well. The answer seems obvious to us. We just want to save time and get to the solution. Teachers who learn about choice theory begin to understand the pitfalls of telling, rather than listening, and begin to see that one of the best things we can do for another person is to help them develop their own solutions. In other words, the goal is to help a person effectively self-evaluate. Whether we are a listening to a friend explain why she wants to quit her job and go back to school, a husband listening to his wife wonder aloud about problems with the upcoming Home & School potluck, or a teacher working with a student who keeps forgetting one of the classroom procedures, the answer may have more to do with asking the right question, instead of giving the person your solution. in a way that maintains or strengthens the relationship. Becoming a listener who knows how to ask questions that can lead to self-evaluation is one of the most important steps we can take toward being a choice theory teacher or parent. One of my mentors, Kendall Butler, once shared with me that “it is better to get something out of someone’s mouth than it is to put it into their ear.” Rather than being smart enough to emphasize the right point, the skill and wisdom lie in asking the right question. A new Facebook page has been created called The Better Plan. I invite you to Like the page and become a part of The Better Plan community. Joel Steffen will be helping me manage it and our goal is to locate helpful teaching resources, many of them from within our own community, and to provide a place for teachers and parents to ask questions or comment on other’s questions.